The photo was among Engineering News-Record’s winning shots in their 2016 photography contest. Walking through the Graniterock asphalt plant in South San Francisco, Bright was out to take photos for the newsletter of Operating Engineers Local 3. 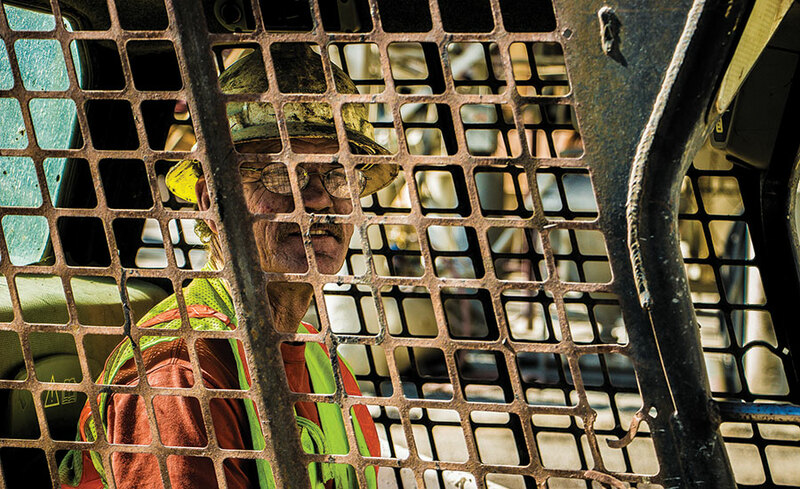 “I go out on job sites to capture our members at work and to highlight what it is they do,” Bright said. Bright spotted Roger and asked him to sit in a nearby skid-steer loader for a photo. “I go with another editor and have them talk, so I can capture the natural expressions and smiles,” Bright said.